Denomination : Silver Penny. Mint : There are 26 points on the stars, which is thought to mean Perth mint.. Size : 18.7 x 20.7 mm. Weight : 1.37 grams. Grade : VF but some weakness in the strike. Obverse : Crowned head of Alexander III right, with ALEXANDER DEI GRA around. 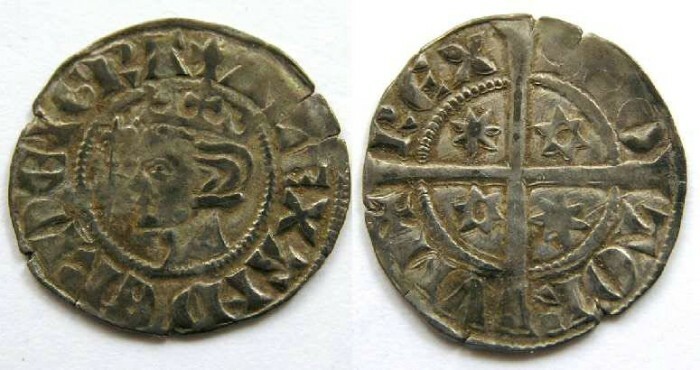 Reverse : Long cross with REX SCOTORVM around.